Pacifico, a pilsener type beer, dates back to the beginning of 1900’s. Since 1985, Pacífico has been exported mainly to the West Coast of USA, where it has gained strong recognition. Bier Cabinet Spring Cleaning Continues. This is another beer given to me by a friend to review; this time my friend Gene. I know nothing about it and have no idea what to expect. Although I did just look it up to find out that it’s an Adjunct Lager, not a good sign. 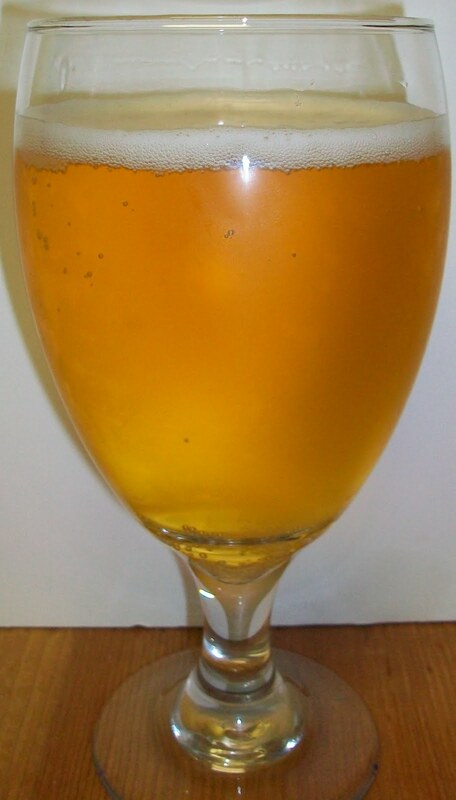 The beer pours a clear pale golden straw color with a bright white head. Although the head diminished quickly there is a fair amount of carbonation evident by a lot of tiny bubbles rising up from the bottom of the glass. There is not much on the nose of this beer. I am picking up a light malt aroma put it has a very grainy/grassy background to it. There are also some light hop aromas on the nose. Well, I didn’t know what to expect and I’m still trying to figure out what I got. All and all it’s not much but I was bracing myself during that first sip for something awful if it appeared. But it really didn’t; for an adjunct lager this is a drinkable beer. Let me give you the play by play on the sip. There is a slight malt sweetness up front on the tip of the tongue followed by a very cleansing effervescence that just tingles your entire tongue in mid-sip. It is not until you get to the back-end that you start to pick up any flavors and they are not much. There is a pilsner malt flavor that starts to come there during the swallow. This light malt flavor carries though to the finish accompanied by a nice dry hop bitterness. Nothing overpowering just a typical pilsner drying hop finish. The final after taste is fairly dry with a grainy/grassy taste to it. This grassy taste is tolerable now at 49 degrees but expect it to get unpleasant a little later. Will I guess I’d have to have Bud or some other Adjunct Lager to compare this too but I haven’t had a Bud in quite a while. So far there has not been anything offensive or unpleasant about this beer. I really don’t care for that grainy flavor but that is from the adjunct grains and this is an Adjunct Lager. That is the some flavor that is in all of the American Macro Lagers, so this one is not unusual in that respect. It may be unusual that a self proclaimed beer snob is reviewer this but that’s what friends are for. We are now around 64 degrees and it is getting pretty unpleasant. Yeah, it’s getting down right nasty now at 67 degrees so I think I need to kill the rest of this. 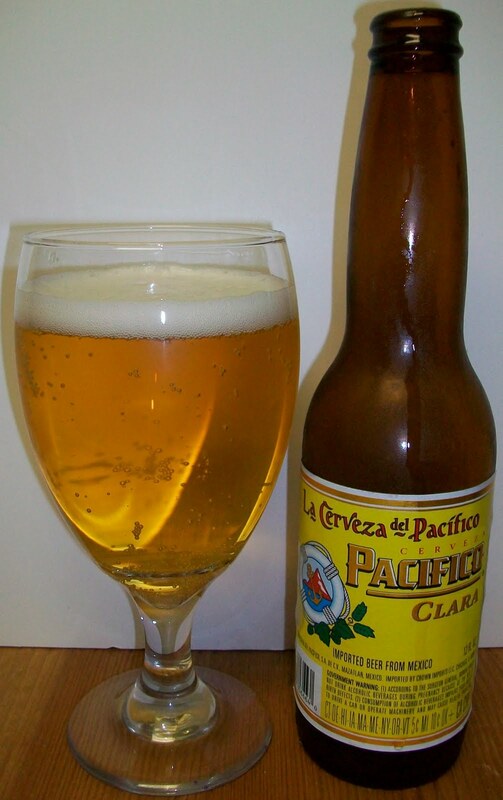 Well, I survived the Pacifico Clara Adjunct Lager. I’m not sure what to do now. I really do not recommend drinking adjuncts but if that’s your thing then this is a drinkable beer. It is possibly more drinkable than Bud and some of the other Macro Lagers, I really just don’t know. As you know I rate by style and this is truly the first American Adjunct Lager that I have reviewed so I’m going to pass on a letter grade. I may pick up some adjuncts over the summer and review them just for the heck of it. But with all the good beers out there I really don’t know if I want to spend the time of a style of beers that I know I’m not going to enjoy. At any rate, it is what it is. And a guess it is a good representation of what it is. I certainly did not find it offensive until it warmed up to 67 degrees, for whatever that’s worth. For anyone that likes this style of beer I strongly recommend that you try an authentic German Pilsner or Czech Pilsner since back in the day that is what our American Beers were based on. And Pilsner Urquell is my personal gold standard or this style of beer. So there you go Gene. My best shot at an American Adjunct Lager review.